We Recently had the pleasure of reviewing a Degustabox! 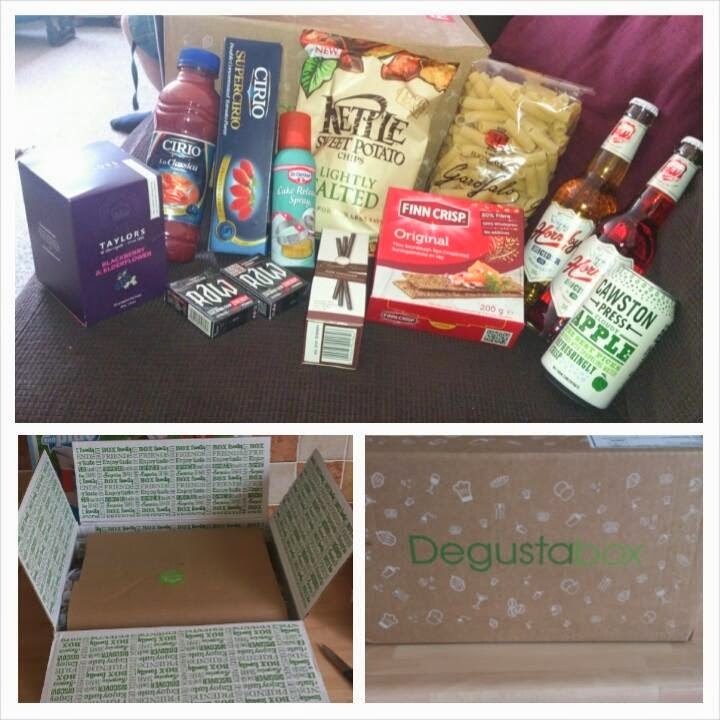 Degustabox is a monthly subscription food box which is delivered to your door monthly! Each box contains between 10 and 15 products that you may or may not have tried before. The box costs £12.99 per month and this included postage and the contents of the box is always worth more than the £12.99 paid! I was really excited to try our Degustabox! Im one of those people who always thinks about trying new products and recipes but when it comes to the weekly shop I end up grabbing the same thing and the same meals, So having a box delivered monthly that really encourages you to try new brands and products you may not have thought about before is a great way to get anyone trying new things! Our Degustabox arrived promptly on time (we were given a delivery slot of 1 hour via text on the day of delivery with the option to change this date if needed). I was not disappointed with what was inside! There was a great range of products from drinks, snacks and meal based foods. The box also contained a few promotional cards from some of the brands and also a sheet explaining what each of the products were and the RRP of them which i thought was great as it really showed how much you had saved! These rrp at £2.59 per pack and I hadnt seen them before but they were delicious! As they are dark chocolate they really curbed that chocolate craving without consuming to many. I've grabbed another pack of these to pop into my hospital bag! 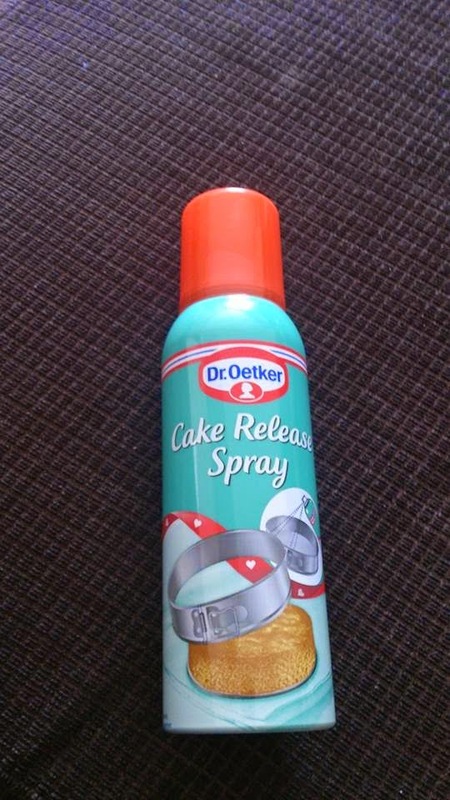 I was really excited to see the Dr Oetker cake release spray in the box! Im not an amazing baker but I do enjoy occasionally baking for the family and especially with my little boy and buttering and flouring cake tins is so messy this will certainly come in handy! I will be doing some baking with my little boy this week so I will let you know how we get on with it. I really liked the fact the box contained 3 products that could be used together to create a tasty meal. 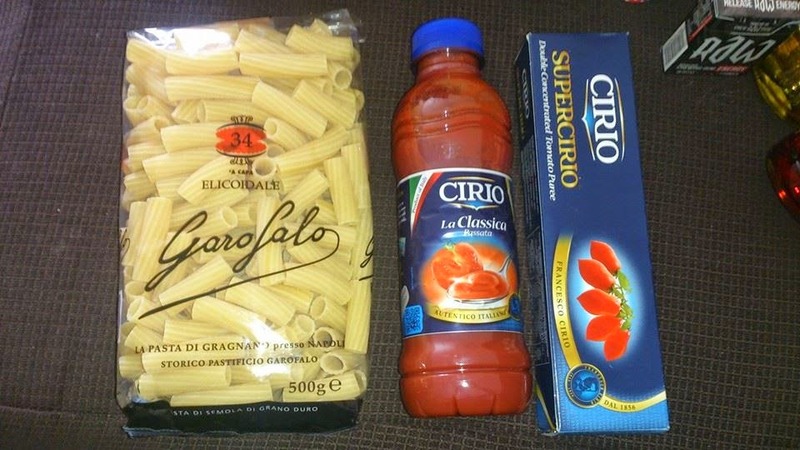 These were the Garofalo pasta (rrp £1.89), Cirio passata (rrp £1.35) and Cirio puree (rrp £1.10). These are products I use for cooking usually but brands I had never heard of before so it was great to try new brands and compare the taste. They were delicious!! I used them to make a Chicken, Bacon and Tomato pasta bake dish (Recipe and pics will be in another post) which was easy to make and tasted yummy! 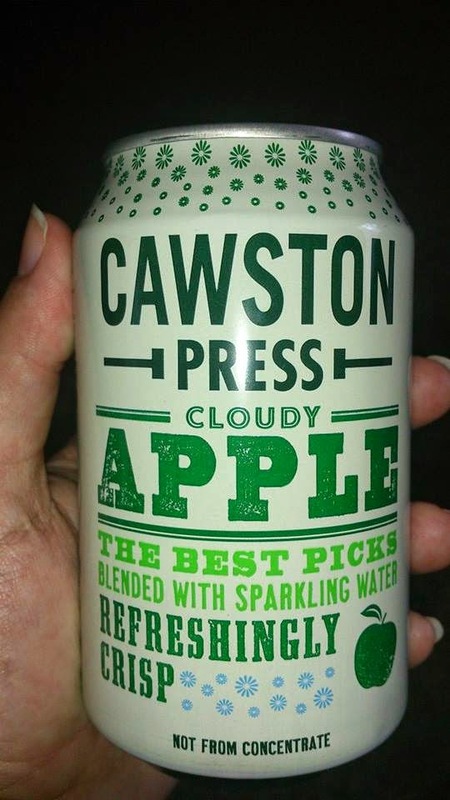 My favourite thing in the box had to be the Cawston Cloudy apple drink!! It tasted like a grown up fizzy drink and it was so refreshing! It contains 70% apple juice mixed with sparkling water and you could really taste the fresh apples. These rrp at £1 each so are a little more expensive than other cans of fizzy drink but really are worth it for a treat! They have other flavours to so I will be on the look out for these to give them a try. 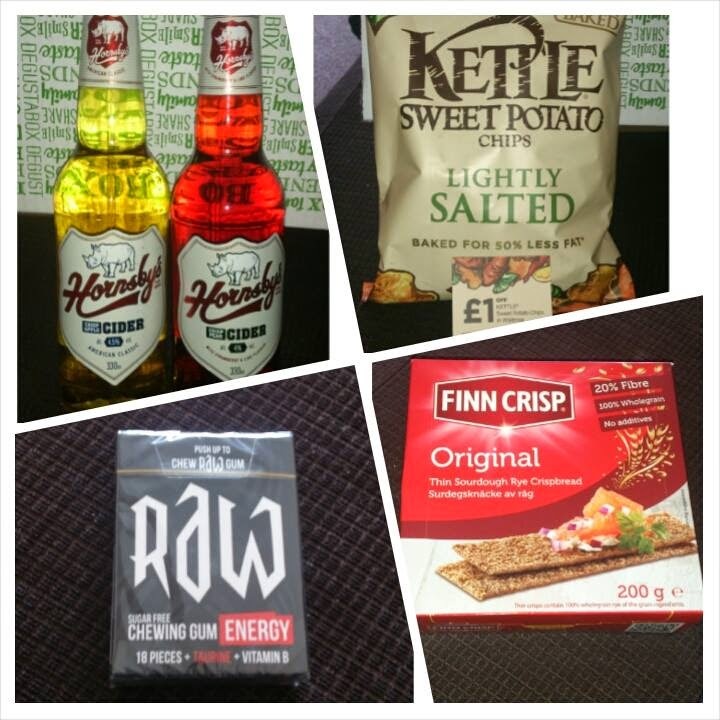 Also included in this months Degustabox were these products.. Unfortunately I couldn't drink the cider with being pregnant but hubby said they were really nice and refreshing and I will definitely be purchasing some to try once I've had the baby! The Kettle chips also came with a £1 off voucher to use against another purchase of these crisps at any waitrose store. The total value of the Degustabox this month was £21.46 so as you can see much more than the £12.99 you pay for the box. If you want to try your very own Degustabox you can head over to www.degustabox.com to order yours now! There is no commitment to continue your subscription and you can cancel at any time. I even have a discount code for you to use against your first box just enter 3MB25 this will give you £3 off your first box! If you want to find out more about degustabox you can find them here ..
Have you tried a degustabox before? What did you think? Dont forget to pop back and let us know what you think of yours if you decide to order one! Love cake release spray - we used to buy the Lakeland one when they did it. I've never heard of this monthly box but as you say, what a great way to encourage experimentation with food and meals. 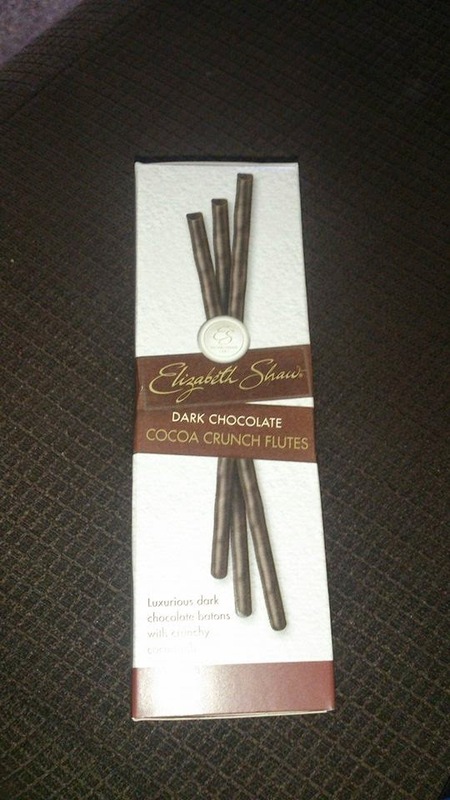 Must say, those chocolate flutes are making me feel hungr! This is a great way to try out new things. It's a great way to be introduced to things you wouldn't normally try. I shall be keeping an eye out for the sweet potato kettle chips, sounds like my idea of food heaven! This is such a great idea. 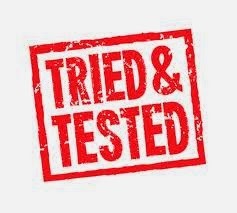 Like you, I often end up grabbing the same old stuff, however would love to find new products to try. Love that you got cider in there - think that has almost persuaded me to give it a try! All the products in your box looked delicious. I love the Kettle Chip Sweet potato snacks, will definitely have to try those! I'd be really happy with all of these items - it's a great idea to mix up the shopping and introduce you to new things. I really like the idea of it. I like the look of a box which brings different ideas and brands into my kitchen, I do tend to stick to a tried and tested bunch of recipes. Perhaps it's time I branched out, might give these a try! Ooooh I cannot wait to try mine now!! Such a great idea too! I've only ever heard good things about these boxes - definitely sound like excellent value for money! Oooh I'd love to get these, it would be like having a surprise every month! I am quite keen to try the degustabox. I have heard quite a lot of good things about them. This sounds like a great idea - we would love to try some of these things as we get 'stuck in a rut' buying the same things every week! looks a great way to try new stuff out - might have to give it a go! Really interesting idea as you're right, it is too easy to get stuck buying the same things time after time. I like the look of the apple drink too. I have seen people talk about these boxes a lot recently. I like the fact you get surprises. It's great that you get to try out new things at a reasonable price.